Twitihition is a passive Twitter client and a whole new way to display tweets in a new way right on your desk! 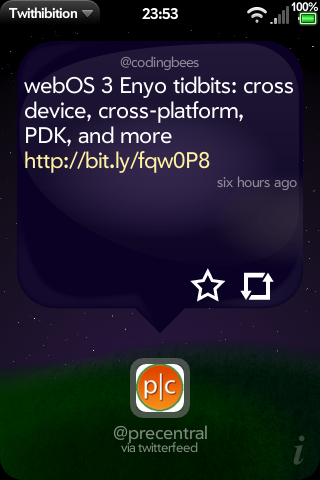 - Exhibition mode on webOS 2.1 and above! 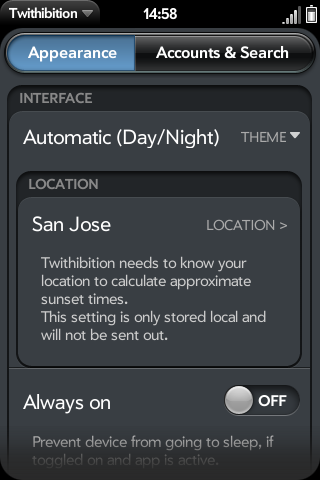 Twithibition is a passive Twitter client. Not a full-featured one. 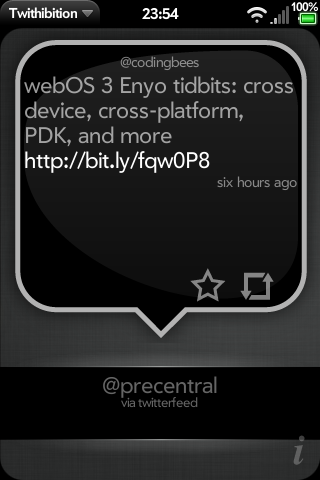 It is designed to do just one thing - display your tweets. The tweets are displayed and automatically push from the right as they arrive. Just start Twithibition on your device leave it on your desk and it will magically do its work. Twithibition works best while on a TouchStone, but also works without it right on your desk. 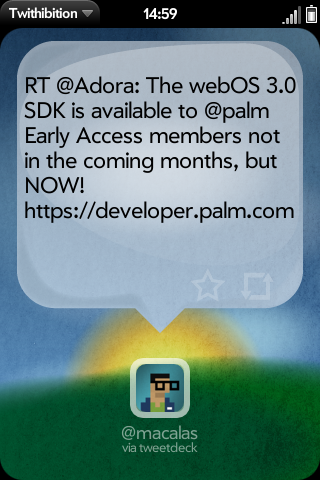 On older webOS devices (before 2.1) that have no Exhibition mode, there is also a "no-sleep" mode where the display will always be on. In this mode make sure that your device has enough battery left or is plugged in.